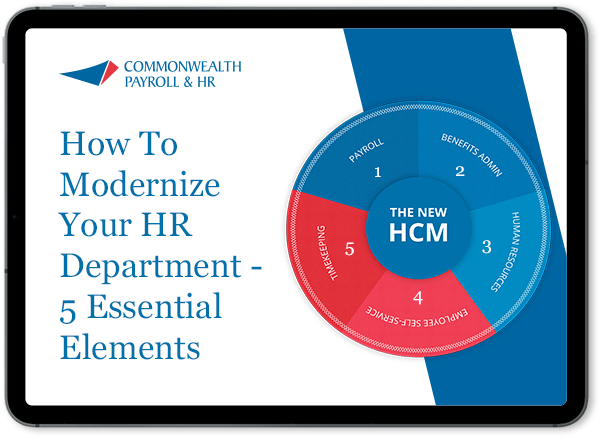 Labor and Job Costing: If you need to track hours and payroll costs- including employer taxes, deductions and even memo calculations- by different cost centers or multiple levels of labor coding, then Commonwealth has the answer. iSolved allows for the collection of allocation data organically, using a multitude of time collection options, or manually using our time entry grid or individual time entry. Salaried and other fixed cost employees can also be permanently allocated by employee, allowing for greater efficiency in data entry. Certified Payroll: A logical extension of Labor and Job Costing, Certified Payroll is for municipal, state and federal contractors requiring the certification of time spent by day and the payment of prevailing wages. Time is tracked by task, job and project. iSolved will automatically generate Certified Payroll reporting to meet the requirements of your contract agreement. Restaurant Payroll: Payroll for restaurants can get complicated due to the complex calculation requirements for tipped employees being paid less than minimum wage, blended overtime requirements, and specific reporting needs including the FICA tip credit (8846) and IRS Tip Allocation 8027. Refreshingly, Commonwealth answers the call with iSolved’s Restaurant reporting which allows for easy data entry by employee, department and department-based rate, and the calculation and taxation of tip payment, ensuring employees are taxed correctly based on minimum wage. iSolved also integrates with many major point-of-sale (POS) systems to directly capture employee pay data generated there. Total Check: For companies that want Commonwealth to manage the issuing and reconciliation of payroll checks, we offer Total Check. This is a practical solution for companies that write lots of checks to employees or offer direct deposit. The Total Check service includes the bank’s check fraud prevention system. GL Interfaces: Payroll isn’t complete until it has been booked into your accounting system as a journal entry. No matter whether you use Quickbooks or an enterprise or industry-specific accounting package, our Labor and GL setup allows for mapping to your specific GL codes in the format your accounting package requires. All payroll components are mapped, including allocations, outstanding checks, and tax and other open liabilities. You can export the data to a report in Excel .csv, QuickBooks .iif, or other file types.